July is the coldest month in the Okavango Delta, with daytime highs around 25°C (77°F). Although the days are mild, the nights cool quickly, dropping close to freezing on a few mornings each year. By now the annual flood has percolated across the Delta, and water levels usually reach their peak around the end of the month. Even lodges quite far from the main central channels can now offer mokoro trips through the submerged floodplains. July is another clear, dry month in the northern Kalahari, the third straight month without a drop of rain. The Delta is therefore an increasingly important source of water and attracts thousands of animals from the surrounding plains. 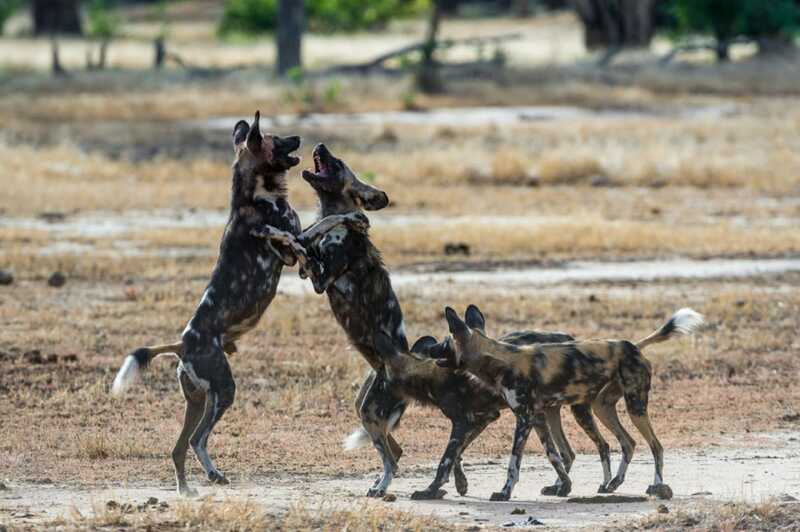 Highlights: July to October is a good time to see African wild dogs, especially in the northern concessions and along the Khwai River. Now is the time to see the Delta at its fullest as it spills its main channels into the Kalahari sand. Disadvantages: July to October is the Delta’s busiest period and the camps and lodges charge peak season rates. Mornings in the Delta can get very chilly in July so be sure to pack warm clothes for early morning boat trips and game drives.